Need a pop up bar for an event or show, party, wedding or corporate event either outside or in? 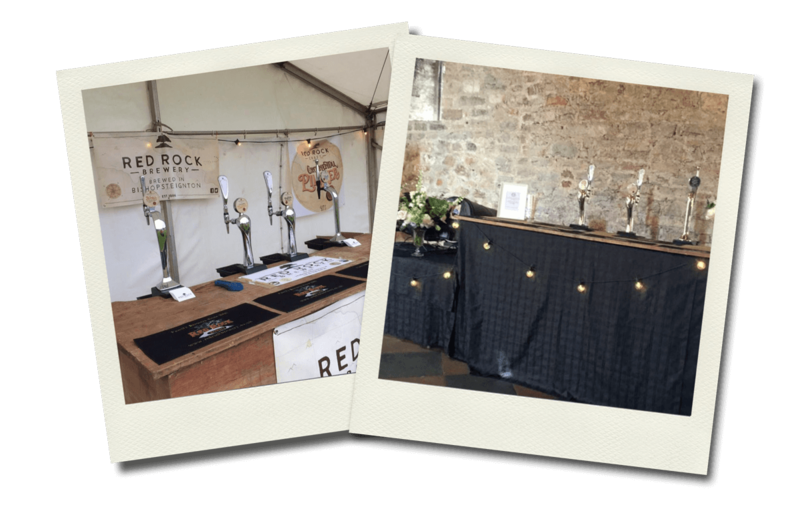 We offer a variety from a simple real ale bar to a fully stocked bar with every one of our Devon beers you can think of, plus wines and local Devon gins! We provide a flexible and tailor made service to suit your requirements, so please contact us if you would like more information. If you need the beer but not the bar, you can purchase our range in 36 pint Bag in Box, 72 pint cask or keg or 12 bottle case. To find out more call 01626 879738 or email us at info@redrockbrewery.co.uk and let your imagination guide you!